Cancellations affect our ability to provide a trip opportunity to other riders. If you have a scheduled ride that you no longer need, please call Able-Ride dispatch or reservations department as soon as possible to cancel your ride. This will help free up space for others to ride and keep program costs down. You may cancel your trip by calling 516-228-4000, TTY 516-228-4002 or 711. Cancellations made in advance (2 hours or more) before your scheduled trip time, will be considered an advance-cancellation for which no-penalty is assessed. A cancellation is considered late if the cancellation is made less than two (2) hours before your scheduled trip time. Late cancellations are treated as a no-show and can result in suspension of service. Please do not ask bus operators to accept information regarding cancellations or trip changes. You must contact the Reservation Office to change or cancel trips. If you travel to and/or from the same location at the same time at least twice a week, you may request Subscription Service. This service allows you to make regular trips without telephoning to reserve or confirm trips unless there is a change or cancellation. Subscription Service is subject to availability. Call Able-Ride at 516-228-4000 to request subscription service. Deaf/hard of hearing customers, use your preferred relay service provider or the free 711 relay. Our reservationist will tell you while you are on the telephone whether or not your trip request can be accommodated. Able-Ride will make every effort to provide your trip at the time you requested. 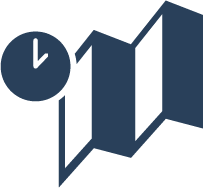 If your specific time is not available, the agent will help you select another time with a one hour window on either side of your originally requested time. Trip reservation denials include the following. If we are unable to schedule the requested pick up times within a one hour window on either side of the requested pick-up time, the trip (even if accepted by the customer) will be counted as a denial. If a requested pick-up time for one-leg of a round trip cannot be fulfilled with the window, then that leg of the trip (even if accpeted by the customer) will be counted as a denial. If a requested pick-up time for one-leg of a round trip cannot be fulfilled with the one-hour window, and the customer refuses the entire round trip, it will be counted as two denials, even though one leg of the trip was scheduled within the one-hour window. Able-Ride understands Clients may sometimes miss scheduled trips or be unable to cancel trips in a timely way for reasons that are beyond their control. However, repeatedly missing scheduled trips or failing to cancel trips in a timely way can lead to suspension of service. The following information explains Able-Ride no-show policy. The pickup window is defined as fifteen (15) minutes before and fifteen (15) minutes after the negotiated pickup time. Clients must be ready to board a vehicle when it arrives within the pickup window. The driver will wait for a maximum of five (5) minutes upon its arrival for the rider to board. A no-show occurs when the vehicle arrives at the scheduled pickup location within the pickup window and the driver waits at least 5 minutes and the rider has still not presented themselves for boarding. The vehicle will leave and a no-show appearance will be recoreded. Able-Ride will NOT count a no-show, late cancellation or cancel at door for circumstances beyond a client’s control which prevents them from notifying us in-advance that the trip cannot be taken. Drivers arriving and departing before the pickup window begins drivers arriving late will not be recorded against the client’s record when notified by the client within 48 hours of the occurrence. If you no-show or late cancel because of circumstances beyond your control, clients should contact the Able-Ride reservations center as soon as possible but within 48 hours to explain the circumstance and request the removal of the late cancellation or no show. 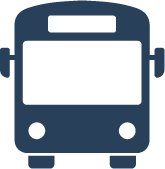 Able-Ride trips should have travel times equal to or less than comparable fixed route travel times. In the case that rides are longer than the comparable fixed route travel time, this trip will be considered "excessively long." Able-Ride does its best to limit the booking of "excessively long" trips.